Video can help you attract both and reduce screening times in the process. Active jobseekers are finding jobs in many ways, depending on the role that they are searching for. They use search engines, like Google. They look at job boards, social media sites, companies’ career sites, etc. When faced with applying for multiple jobs, the candidate may see that the job title is what he or she wanted, read a few lines of text, skim, and quickly submit an application. Job searches are labor intensive and take a lot of time, so if a candidate can take a shortcut, he or she may just do that. As a result, a recruiter will get résumés and applications from candidates who do not qualify for the position. That is why video is so great at attracting top talent. Candidates understand and retain up to 60% more about a position by watching a video versus reading, or skimming, text alone, which means that he or she will opt in or opt out of the application process based on if the opportunity is a good fit. Plus, videos can help candidates find your jobs with more narrow search engine keywords by applying as many relevant and job-specific meta tags as needed. And, did you know that the presence of video ranks 53 times higher on search engine results? Today there are many people who are unemployed and underemployed, yet there are still millions of job openings. One reason for this is because there is a gap in the skill set required for these job openings, which is why passive jobseekers are so vital to talent acquisition professionals. Did you know that according to LinkedIn®, 75% of the workforce, fully-employed, considers him- or herself to be a passive candidate? That’s a very big potential talent pool. The power of video is perfect for passive jobseekers. They are easy to share on social media to make it simple to take your message viral. Videos can be viewed on any mobile device, which is the way technology is changing. Videos are easy to track and obtain data and metrics on where the video is being viewed, how many “applies” per source, etc. 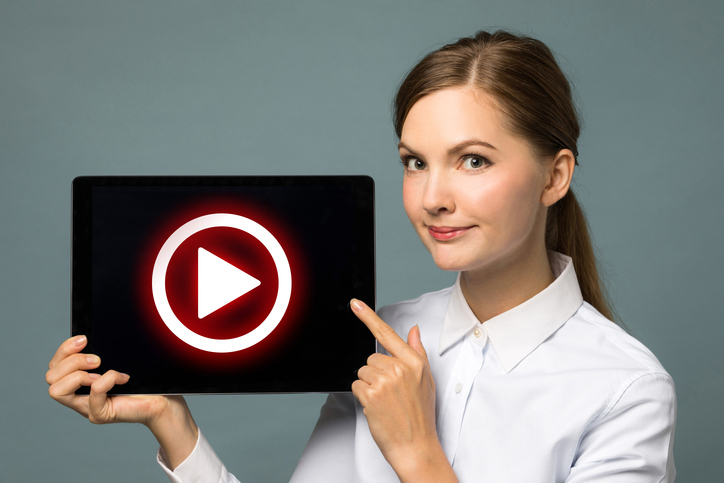 Finally, video is a great way to brand your company, culture, and really give a visual to the candidate about your organization—thus, a great way to attract top talent. In the end, the real argument becomes, Why would you NOT recruit with video technology? Lindsay Stanton is Chief Client Officer for Digi-Me, a Video Technology Company for talent acquisition that helps organizations add new dimension to their job and employment brand messaging. In her time with the company, Ms. Stanton has facilitated relationships with many partners, including the largest recruitment advertising agencies, global recruitment process outsourcers, and staffing firms. These partnerships magnify the organization’s reach into the Global Fortune 1000, providing an effective and innovative solution to the largest global employers, including KellyOCG, TrueBlue, Aureon Staffing, Advanced RPO, USG Corporation, Prudential, and LG Electronics. A subject matter expert on the use of video technology as a recruitment tool, Ms. Stanton works closely with industry leaders, creating new and better ways to connect jobs and jobseekers. Follow Stanton on LinkedIn: https://www.linkedin.com/in/stantonlindsay.